Natalie Portman for Miss Dior Eau de Parfum fragrance, a floral chypre perfume for women. Created by Dior in house perfumer Francois Demanchy the fragrance includes notes of bergamot, roses, pink pepper, and rosewood. Launched in September 2017, the rose floral fragrance is available in eau de parfum spray (1 oz, 1.7 oz, 3.4oz $74 - $124) and body lotion (6.8 oz / $52) from Sephora, Macy's, and Nordstrom. 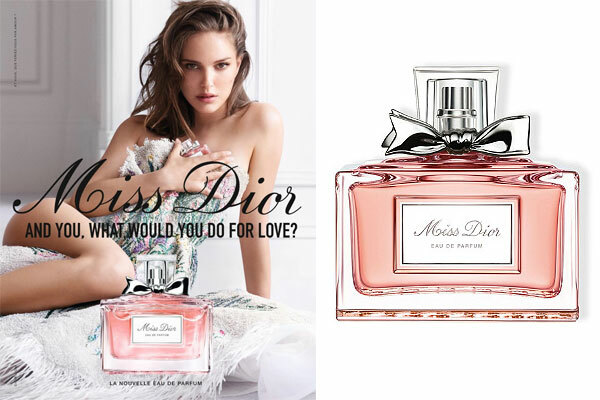 The new perfume campaign was directed by Emmanuel Cossu and features Portman wearing a Dior floral dress.